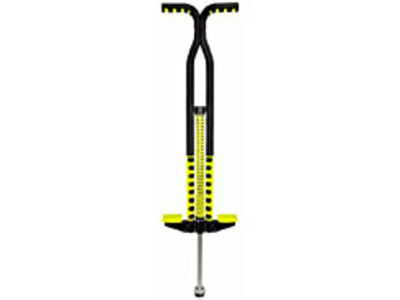 A pogo stick is a device, usually considered a children's toy, used for hopping up and down. It is said to have first been patented by George Hansburg in 1919. It consists of a pole with a T-bar handle at one end, and spring-loaded footpads on the other. 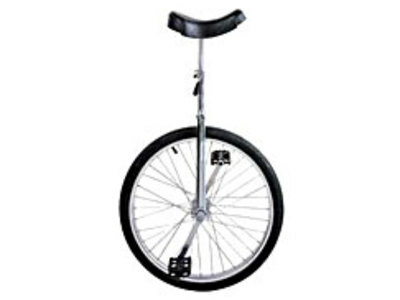 There are many different types of unicycles, which can include (but are not limited to): freestyle unicycles, trial unicycles, MUnis, giraffes, and long distance unicycles, which all have special components unique to that type of unicycle.